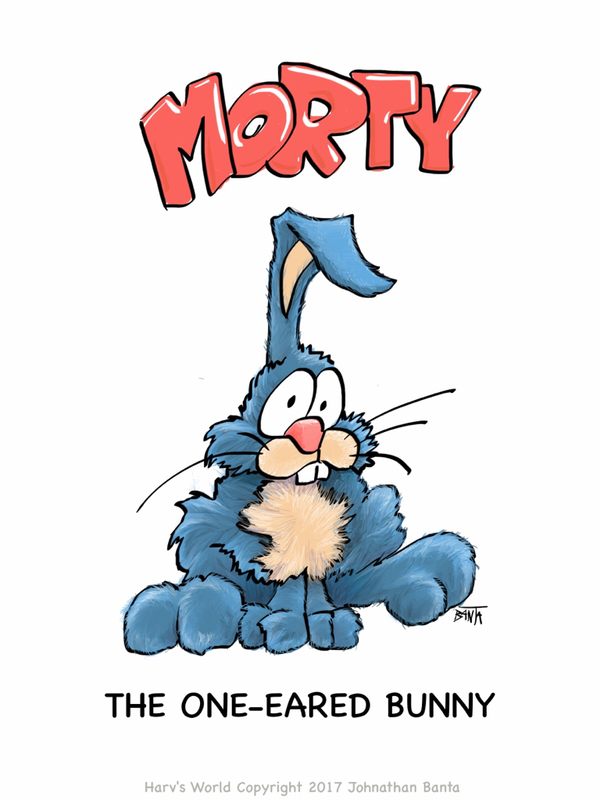 Morty the One-Eared Bunny, Was an asymetrically gifted freak. And if you checked his hearing, you would have to say it’s weak. All of the other bunnies, used to laugh and call him names. They never let poor Morty, know when any predator came. So then on Easter Morning, when a little thump you hear. Remember it might be Morty, The funny bunny with one ear.